Obituary for Dora M Teague | L.E. Black, Phillips & Holden Funeral Home Inc.
Services will be 10:00 a.m. Saturday, March 23, 2019 at the Mt. 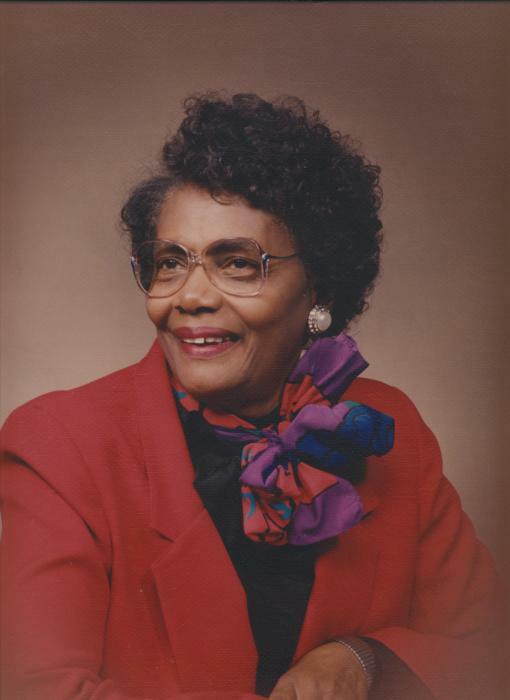 Zion Baptist Church for Mrs. Dora Mae Teague, 88, of Youngstown, who entered eternal rest on Tuesday, March 19, 2019. Mrs. Teague was born December 3, 1930 in Ramer, Alabama, a daughter of Chippie and Luvenia Sanderson Colvin. She had worked with Moyer Clothing Factory and Delphi Packard Electric, retiring after over 20 years of service. She was a member of the Mt. Zion Baptist Church and its nurses guild. She was a former member of the Order of Eastern Star and of UAW Local. She enjoyed baking and was known for her fabulous carmel, german chocolate and pound cakes. She loved cooking, sewing, sports, and followed her sons, Mervin who played college football with Ohio State Buckeyes, and Will who played basketball with Youngstown State University. She was able to attend two Rose Bowl games to cheer the Buckeyes on to victory. She leaves to mourn her passing, but to rejoice in her heavenly peace, two sons, Will (Carolyn) Teague of Cincinnati and Mervin (Rita) Teague of Southfield, MI; four grandchildren, Will Justin (Annabelle) Teague of Detroit, Lauren N. Teague (Robert) Payne of Columbus, Will Ryan (Hillary) Teague of Atlanta, GA and Erin Teague of San Francisco, CA; three great grandchildren, Robert M. Payne, Will Chase Payne and Will Axil Lawrence Teague; and a host of other family and friends. Besides her parents, she was preceded in death by her husband, Will, Sr., who passed away September 13, 2011; and seven siblings, Janie Carter, Anna Belle Colvin, Betty Bristow, Willie, Walter, Rogers and Joe Colvin. Visitation will be Saturday from 9:00 – 10:00 a.m. at the church. Arrangements entrusted to the L. E. Black, Phillips & Holden Funeral Home.